OCEANSIDE — They come from opposite ends of the spectrum, but both walked on graduation day as shining examples. 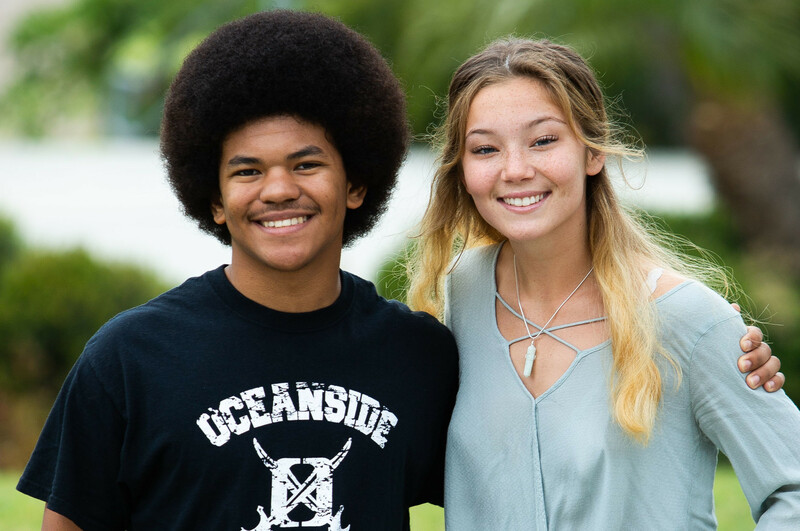 Noah Lightfoot and Ariyal Clark, both 18, cemented themselves as two of Oceanside High School’s best and brightest, one realizing academics was the path, and the other holding off personal demons to take the next step and attend college. Lightfoot is the school’s valedictorian, earning a 4.33 GPA and will enroll at Stanford University in the fall. Clark, meanwhile, took advantage of the Simon Scholars program, earned a 3.4 GPA and will attend California State University San Marcos. As with countless students entering high school, Lightfoot saw himself as a top-notch varsity athlete. He played football and wrestled, but by his sophomore year his course would change. He said learning he was ranked No. 1 in his class was a revelation. He then knew academics were his ticket, and continued to strive for academic success. Always a solid student, Lightfoot also continued with his athletic aspirations, but knew the books were his path to a great education. His first choice was the University of California, Berkeley, where his mother attended. His senior year has been a busy one, taking 11 AP classes and 12 AP tests. But on June 7, he and Clark donned the gowns and crossed the stage as Pirates for the final time. But prior to his senior year, Lightfoot went on college tours in Northern California from Santa Barbara to the Bay Area. After the trip, he whittled his choices between Stanford and Berkeley. Lightfoot was prepared to take the ACT test in December, but it was canceled due to the Lilac fire. Instead, he woke up to an email from Stanford and waited for his mother to wake. She did, he opened the email and saw it was a congratulations letter from the prestigious university. He plans to study economics and eventually earned a master’s degree in business. The Cardinal, it turned out, became the winner, pinning the mother and son as loving rivals. He also qualified for a significant financial aid package, which he said will make the rest of the tuition manageable. As for Clark, much of her life has been a battle, with an alcoholic single mother. Being an at-risk student, she had no hope of a higher education until Assignment Scholars came into the picture. Simon Scholars winners are awarded $60,000 toward college tuition, college prep classes, laptops and more. Each year eight students are selected, and Clark said they act as a support system for one another. Although they may not see each other every day, she said her classmates are another reason for her success through high school. “We all support each other and know each other on a different level than everybody else,” Clark said. Still, her nerves nearly got the best of her during her sophomore year, when she applied for the program. Clark turned her application in on the day it was due, anxious she would be denied and had no hope. Shortly thereafter, sitting in math class, her teacher told her the good news. Her classmates cheered, she cried. It was a pathway to another life. From there, she became confident, was a Pirates cheerleader and soon the realization of attending college was within reach. But she had a decision to make, and it was pointing north, to the University of Oregon. Her father’s family lives in Oregon, so it made sense for Clark to attend school with nearby support, even though she had limited contact with them. But even with the help of Simon Scholars, out-of-state tuition was too expensive, so she will enroll at Cal State San Marcos. She is happy with her decision and will live in an apartment with another Simon Scholar. For now, she plans on a major in communications with a minor in arts and technology. “With the struggles I have at home, I want to get out of there and don’t want to live like this forever,” Clark said. Wonderful article, BUT the organization is Simon Scholars NOT Assignment scholars. Simon Scholars has been mentoring our students for several years and is a wonderfully supportive organization. 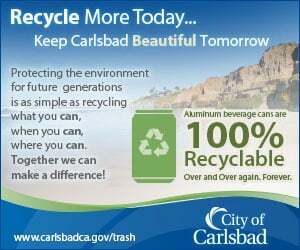 Ann, this was corrected prior to your posting. Thanks for reading!